Flexible J cloth with aluminium oxide abrasiveSuitable for polishing and de-rusting metalsCan be used with oil, paraffin, grease or waterSupplied in packs of different grit sizes, grit sizes available are 60, 120 and 240Roll length: 25m. Both flexible (for use on components of all shapes) and resistant (easy to tear by hand but resistant to deburring).Simple manual procedure, saving both time and consumables.Offers significant and even abrasion while limiting paper contamination and surface heating. 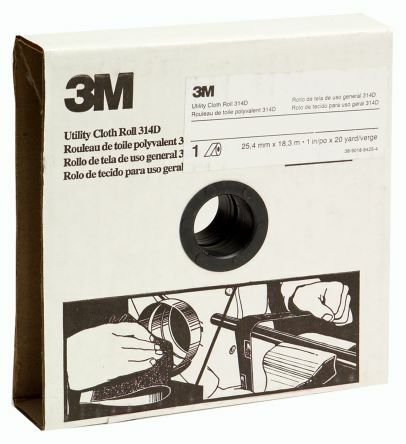 Professional 3M Clean and Finish abrasive roll for cleaning, finishing, sanding and light polishing applications. 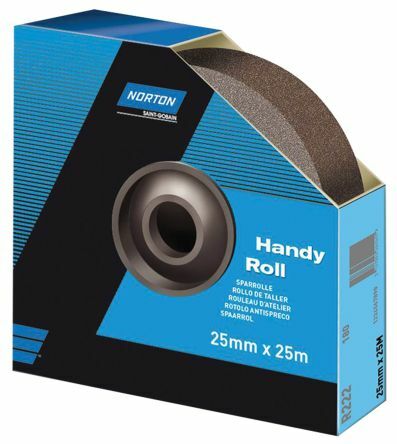 Aluminium Oxide for excellent performance on metalFlexible and easy to cut into desired lengthsIdeal for hand sanding or use with orbital sanders. 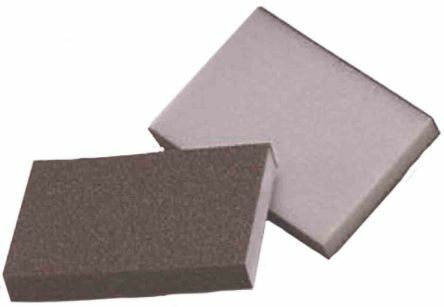 Abrasive on semi-flexible foam spongeFor rubbing down profiled wood or lacquered parts where flexibility is required.Abrasive coating on both sides.These 3M™ Hi-Flex abrasive pads can be used wet or dry.Can be washed with water.